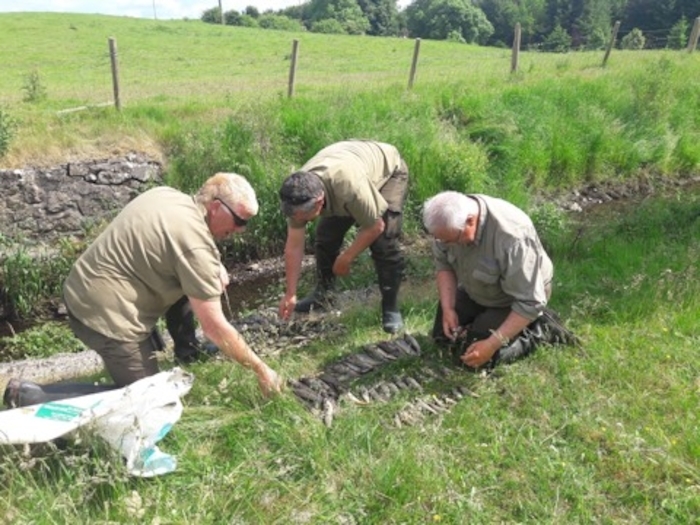 Last Wednesday evening, June 6 officers of Inland Fisheries Ireland received a report from a member of the public in Claremorris, regarding a fish kill on the Ballygowan River (one of the prime spawning tributaries of the Robe River ), which flows into Lough Mask. Investigations are still ongoing. However, it is believed that the fish kill was the result of effluent of agricultural origin although the precise source has not as yet been identified. Local reports noted fish, primarily wild brown trout, in an agitated state in the river on Tuesday, June 5. The stream where the mortalities occurred currently shows no sign of enrichment, and it is therefore probable that some polluting matter of a transient nature passed through the river and has since dissipated downstream. Regretfully, over a thousand wild brown trout from zero to four years old have been removed dead from the river. Other fish mortalities included stone loach and crayfish. Given the extent of the damage to the river it will take some years for this stretch affected to make a full recovery. Greg Forde, Head of Operations at Inland Fisheries Ireland, said: “Currently, water levels are at an all-time low and water temperatures are getting very high for trout and salmon. "These factors combined can mean that a small amount of polluting matter can have devastating results. Inland Fisheries Ireland is calling on all farmers and silage contractors, in particular, to be extremely careful in the current conditions to ensure that no effluent is released near drains, streams and rivers, and silage clamps are properly bunded. Water samples have been taken for analysis and investigations are ongoing. IFI is also asking the public to help protect and conserve the fisheries resource by reporting incidents or suspicions of illegal fishing to its confidential hotline number telephone 1890 34 74 24 or 1890 FISH 24.